This is a simple step-by-step Recipe for making at home Spicy Fried Arbi. 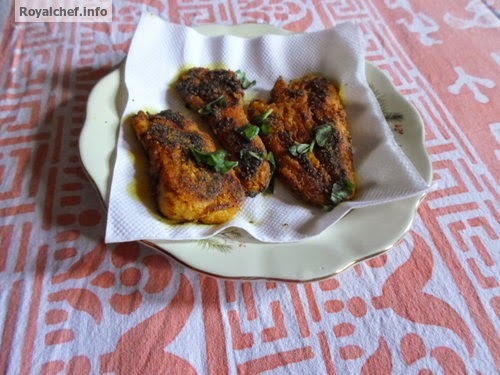 The Masala used here, in this recipe described by me, is a spicy Maharashtrian Masala, which makes the Tikhat Talleli Abri crispy and taste like fried fish. Clean and wash the Arbi and then keep them in a vessel after draining all the Water. After this give the Arbi 2-3 whistles in a Pressure Cooker. Then skin the Arbi and press slightly with your palm to make them slightly flat in shape. 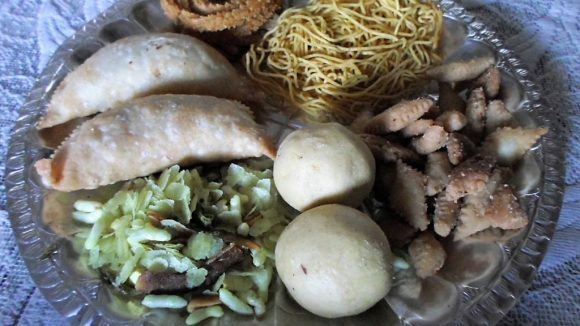 Then apply the Salt, Vinegar, Turmeric powder, Red Chili Powder, Coriander-Cumin Seeds powder, and Rice flour to the Arbi and keep them in a Refrigerator for 10-15 minutes. Then remove from the Refrigerator and shallow fry on a frying pan.